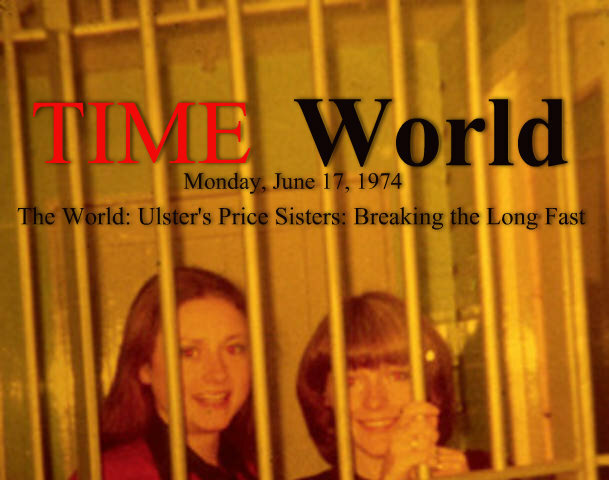 Below are extracts from Dolours and Marian Price writings and statements, with an article from Time Magazine, about the internment of the Price sisters. Dolours was interned this week in Milltown cemetery. 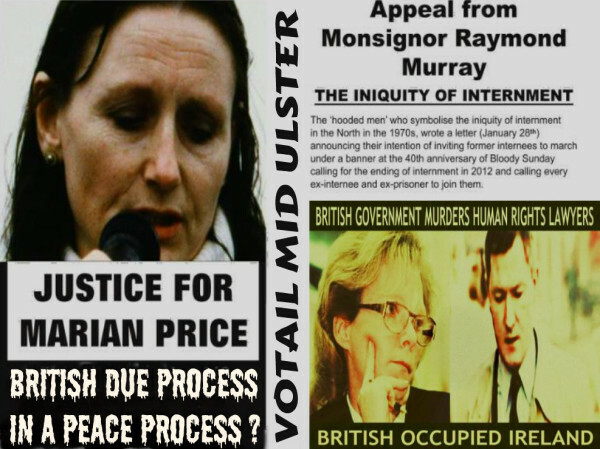 Marian was politically interned without trial, almost two years ago by the British in Occupied Ireland. I am now deeply worried. I watched the news on July 12th and saw a former I.R.A comrade, Gerry Kelly, standing, arms spread wide across a retreating British Army jeep protecting the British soldiers inside! I have not slept a wink since seeing that. Did some incompetent give me the wrong instructions when I joined the I.R.A? I will be very cross indeed if I find out that I was inducted into the Army by some eejet who got things arse about face! Perhaps my own experiences with Gerry Kelly as a comrade on a difficult mission in England and our subsequent imprisonment together leaves me somewhat emotionally vulnerable to the person. We went through a lot together. It causes me a great deal of pain to ridicule the boy I once knew to be stubborn, anti-establishment, arrogant as only those who are convinced of the rightness of their cause can be. A man-boy who endured the same rigours of hunger-strike and force-feeding as myself, my sister, Hugh Feeney and others on our failed mission. I got to know Gerry Kelly well, from the boy leaping over bollards at Trafalgar Square to the boy who stood proudly in the dock at Winchester Crown Court to receive his life sentence and twenty years; the boy who was dragged from the dock declaring his loyalty to the Republican Cause, “Damn your concessions England we want our country!” To now witness what he has become, a British lackey, a forelock tugging parody of an enslaved people, a puppet for the Brits and all that is bad in our country, that causes me deep pain, deep hurt, hurt because Gerry Kelly was a person that I once loved as one can only love a brother or a comrade. When we starved together it was not 'to move the process forward', it was not for seats in a British Government, it was not to be treated as 'equals' in a Stormont Assembly. It was, I like to think, because we had a shared passion for justice and freedom for this island, the whole of this island of Ireland. I believe that we were dedicated to the old struggle to rid this land of any British interference, that our wish was to regain our dignity as Irishmen and women never again to bend the knee, never again to lie down except in death after a good fight. Death would never have been our defeat — living on our knees, now that is defeat! Fate and politics have a way sometimes of cheating would-be martyrs. 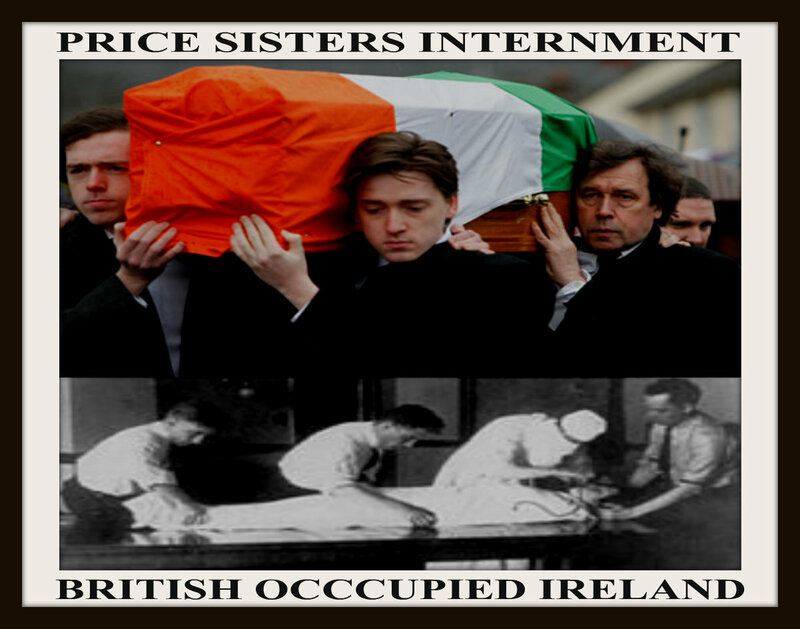 Belfast's Price sisters -- Dolours, 23, and Marion, 20 -- were sentenced last Nov. 15 to life in prison for their part in the March 1973 London car bombings that injured 238 persons and led to the fatal heart attack of another. In an effort to gain attention for their Irish Republican cause and force British authorities to return them to Ulster for the rest of their prison term, the sisters pursued a grim path toward self-imposed death: for seven months they systematically starved themselves. At week's end the British government announced that the Prices had ended their long fast after what appeared to be an eleventh-hour decision by Westminster to avert the risk of violent reprisals by the sisters' Irish Republican Army supporters. As soon as their health permits, the pair may be transferred from London's maximum-security Brixton Prison to jail in Northern Ireland. Dolours and Marion are daughters of a former I.R. A. officer who once tunneled his way out of a Londonderry prison. The sisters were raised amid the revolutionary passions of Belfast's working-class Andersontown district, an I.R.A. stronghold. As teenagers, they shared a liking for the Beatles and the Rolling Stones as well as for Irish folk dances. Both girls were and are devout Roman Catholics: a notebook that Dolours was carrying when she was arrested for the London bombings contained notes on the Virgin Mary along with details about her I.R.A. contacts. According to their older sister Clare, 26, the girls showed little active interest in politics until 1968, when they joined the civil rights movement, which was dedicated to securing equal voting rights for Northern Ireland's Catholic minority. The turning point in the Prices' conversion to hard-line militancy came when they participated in the 1969 civil rights march from Belfast to Londonderry; Protestant hooligans ambushed and stoned the young marchers. Dolours and Hugh Feeney, an I.R.A. comrade who is also in jail for the London bombings, formed the "People's Democracy," a militant offshoot of the civil rights movement, and took their cause to the streets. The sisters had been studying to become teachers. But they also began to investigate the revolutionary polemics of Che Guevara and Soledad Brother George Jackson. The girls learned the techniques of bombmaking and small-arms use in I.R.A. training courses across the border in the Republic. By the time they plotted the London bombings, both girls had become seasoned veterans of back-alley skirmishes with British troops and of slow marches behind the coffins of I.R.A. dead. Friends and relatives of the Price sisters have claimed that the pair were unjustly prosecuted and tried: that they received no legal advice until four days after their arrest, that authorities purposely shifted the trial from London to the more conservative town of Winchester. Their supporters have also charged that prison officials brutalized the sisters by force-feeding them during their long hunger strike. Force-feeding -- in which a person's mouth is clamped open while a greased tube is inserted through his nose and a "complan" solution of iron, orange and milk-soaked glucose is poured directly into the stomach -- usually causes acute vomiting. The procedure can provide a starving victim with 1,750 calories a day, but it is an exhausting and frightening experience. Shortly before the government announced that the Price girls had ended their fast, their sister Clare reported that they weighed less than 98 Ibs. each, that their skin had turned waxen, their hair was falling out and their mouths were covered with sores. The prison dentist confirmed that the sisters' teeth had been loosened under pressure from the mouth clamp. Last month, after doctors had said that the girls would probably die sooner from continued force-feeding than from fasting, officials halted the procedure. 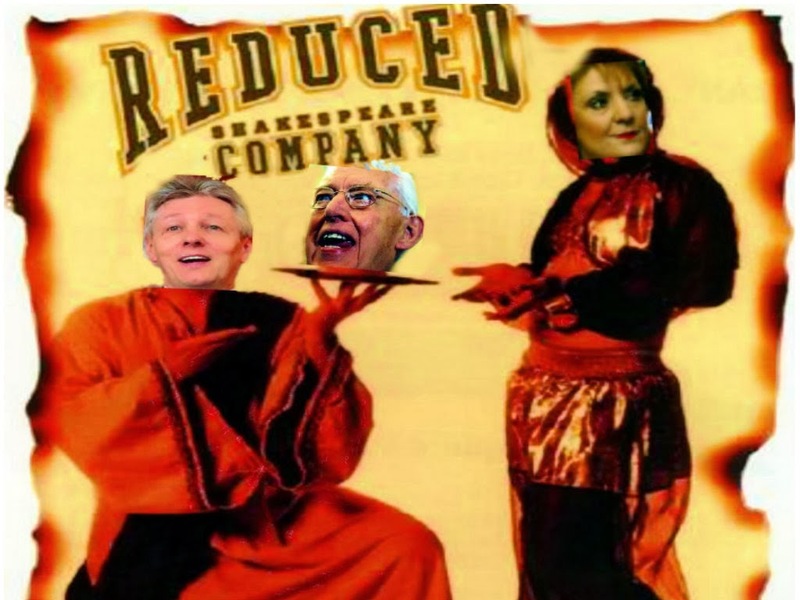 At week's end it was still uncertain how soon, if ever, the Prices would recover from their ordeal. Or whether, even if their flirtation with martyrdom has been happily aborted, they will be able to retain their heroine status once they are no longer a political cause celebre. “Four male prison officers tie you into the chair so tightly with sheets you can’t struggle,” says Price. “You clench your teeth to try to keep your mouth closed but they push a metal spring device around your jaw to prise it open. They force a wooden clamp with a hole in the middle into your mouth. Then, they insert a big rubber tube down that. They hold your head back. You can’t move. They throw whatever they like into the food mixer – orange juice, soup, or cartons of cream if they want to beef up the calories. They take jugs of this gruel from the food mixer and pour it into a funnel attached to the tube. The force-feeding takes 15 minutes but it feels like forever. You’re in control of nothing. You’re terrified the food will go down the wrong way and you won’t be able to let them know because you can’t speak or move. You’re frightened you’ll choke to death.